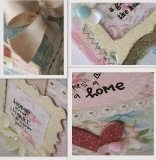 These 2 first projects were made for Tattered Angels, just loving all the products and how versatile they are! we also got some yummy papers from Graphic 45 to play with... this wooden house was made with lots of different colors of glimmer mist, some glimmer chips, calling cards and glimmer glass. Estos primeros 2 proyectos fueron hechos para Tattered Angels, me encantan estos productos y lo versatiles que pueden ser, tambien recibimos varios papeles de Graphic 45 para jugar... esta casita de madera la hice con muchos colores de glimmer mist, algunos glimmer chips, calling cards y glimmer glass. And I was asked to design a card for the Got sketch blog and this is the card I created, check the blog to see the other designers work is amazing! And last just a little something created with a little bit of this and that... a cute card made with papers from K & Co. Prima flowers and silk flower covered with glimmer mist, chipboard from Basic Grey and a big white doilie, thanks so much for your sweet comments hope you have a great day! Muchas gracias por sus lindos comentarios, Espero que tengan un bello dia! 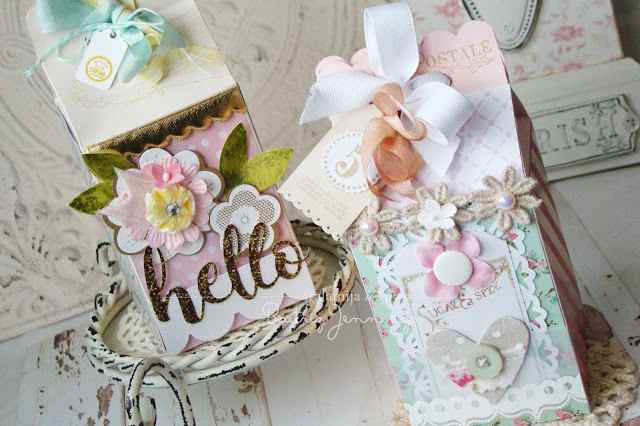 GORGEOUS projects, Bety! You have such a beautiful style! Every time I visit your blog I am amazed! BEAUTIFUL projects! Everything looks awesome as usual. Great creations! I so enjoyed your newest projects. ABFAB!